The plan is the only part to advance from Gov. 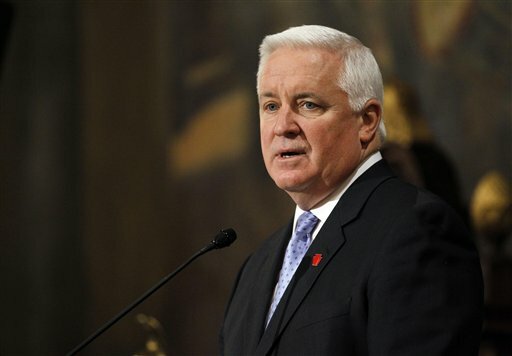 Corbett's proposal to cut $12B from future pension benefits. HARRISBURG, Pa. (AP) — Pennsylvania Gov. Tom Corbett’s plan to slash $12 billion from the future pension benefits of current public employees is dead in the Republican-controlled state Senate after a key committee voted unanimously Wednesday to strip it from legislation.